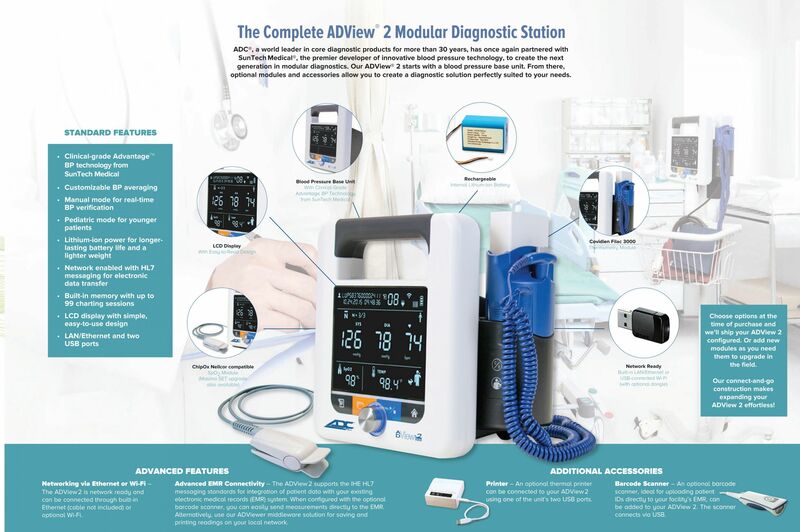 ADC®, a world leader in core diagnostic products for more than 30 years, has once again partnered with SunTech Medical®, the premier developer of innovative blood pressure technology, to create the next generation in modular diagnostics. 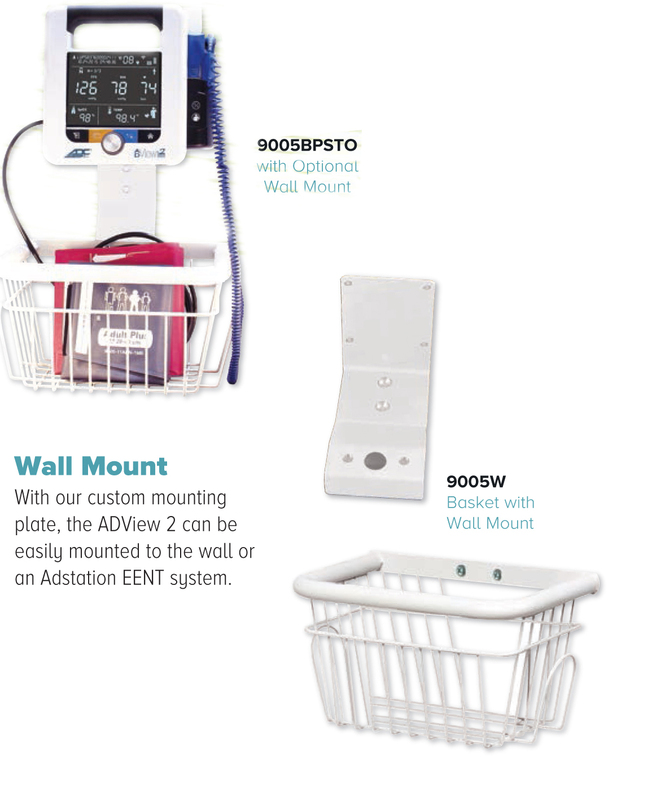 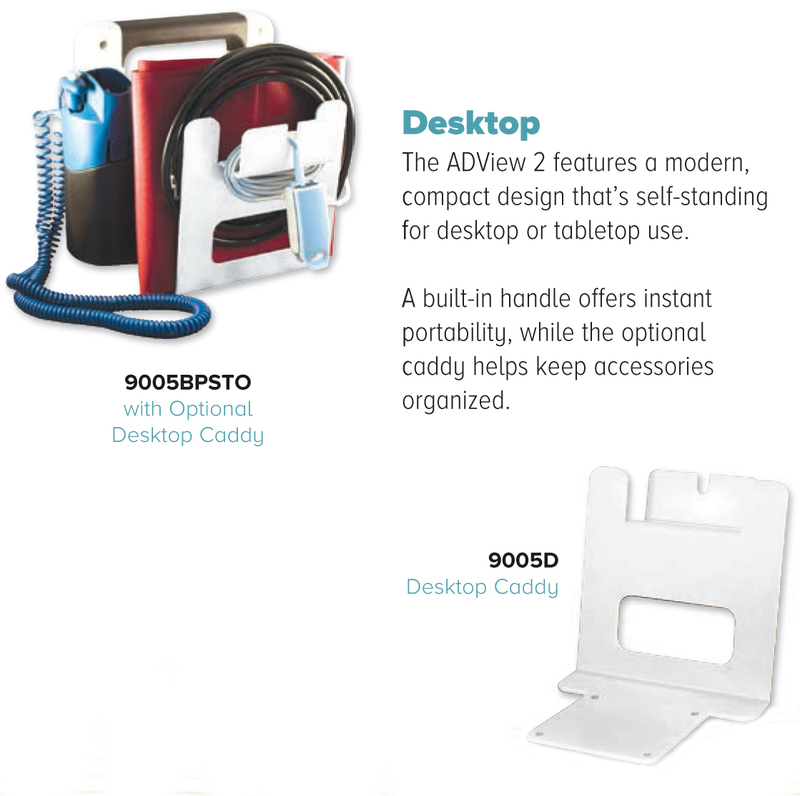 Our ADView® 2 starts with a blood pressure base unit. 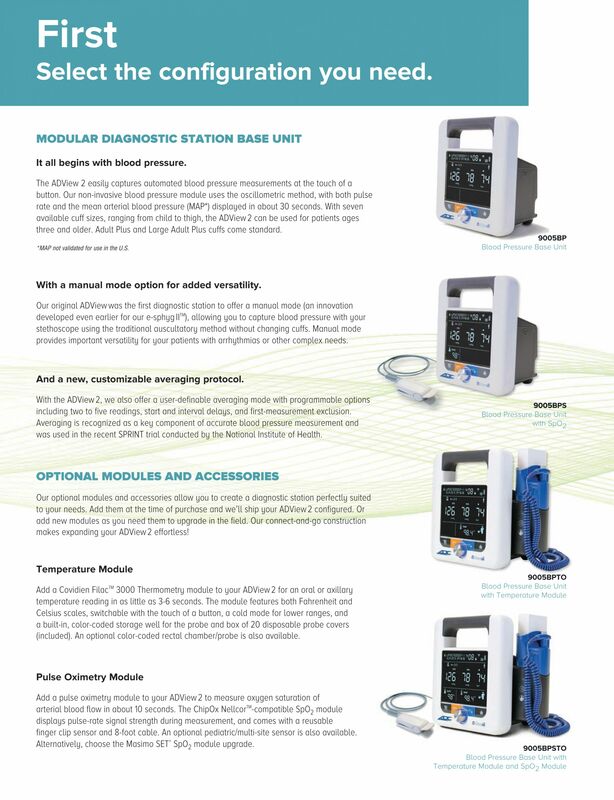 From there, optional modules and accessories allow you to create a diagnostic solution perfectly suited to your needs.